Product information "Traumziele für Angler"
And suddenly a several hundred-pound tuna rose from the water, slapping its body against the surface before diving down again, on the hunt for its prey… Christian High and Markus Heine, both editors of Fisch & Fang, have visited many impressive fishing areas all over the world, which were the inspiration for these unique photographs and interesting stories - from big-game fishing in the Caribbean to peaceful fishing on their native rivers, many adventures are described in this illustrated book, ideal for anyone who is fascinated with the hobby of fishing! 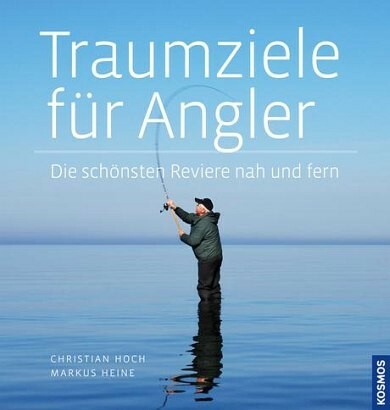 Christian Hoch und Markus Heine sind Redakteure der Zeitschrift „Fisch & Fang“. Ihr Beruf führt sie zum Angeln in die ganze Welt!